[New Releases] Scarred Lands, Unknown Armies, and Vampire: The Masquerade! Hello readers! I have been consumed with development on Hunter: The Vigil Second Edition, keeping on top of short story submissions, and proofing a brand new Firefly Encyclopedia that’ll go to approvals shortly. I’m taking a quick break to let you know I have three gaming-related releases. 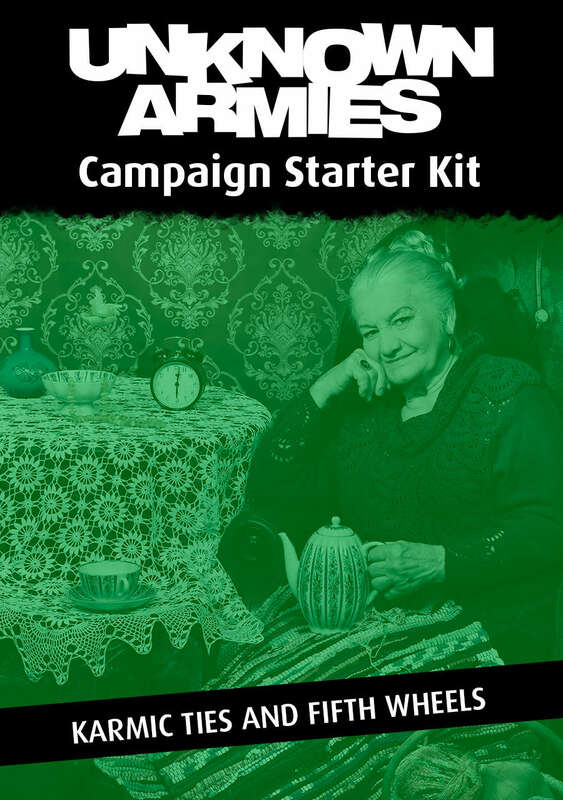 Karmic Ties and Fifth Wheels is a Campaign Starter Kit for Unknown Armies Third Edition. In the kit, the player characters are the black sheep of a large, extended family based in rural Wisconsin. Brought together again for a family reunion at the behest of matriarch Maple Adams, they discover that old secrets and occult mysteries lie at the heart of everything their family has done over generations. Throughout the campaign they may learn who they truly are, and how thick their blood runs through the veins of the occult underground. 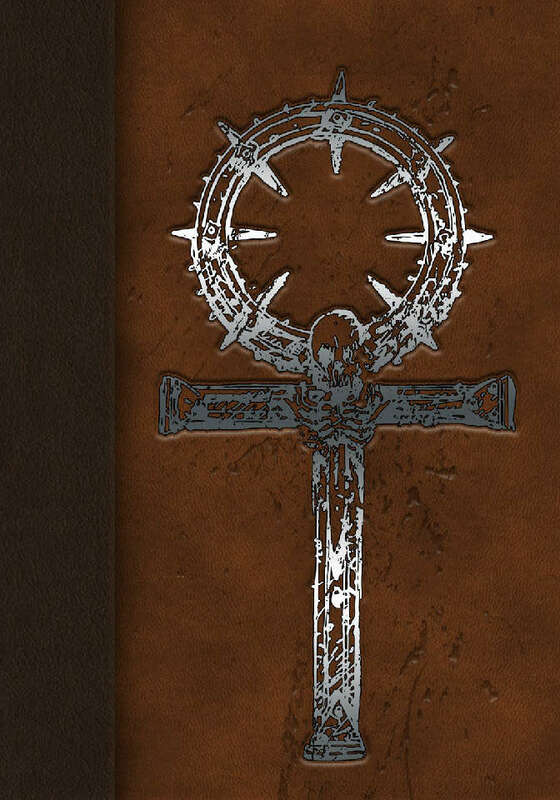 Beckett’s Jyhad Diary serves as the definitive book of setting and plot for Vampire: The Masquerade 20th Anniversary Edition, containing 30 chapters spanning different geographical regions, encountering vampires of every clan, profiling obscure and profound segments of the mythology, and providing countless story hooks on every page. Beckett’s Jyhad Diary is a fiction-forward supplement and is heavy on the lush lore of the Vampire setting. Though Storytellers will benefit from the material in this supplement, any fan of V20 can enjoy it. And, if you LOVE Beckett? For a humorous take, check out Paths of Storytelling! 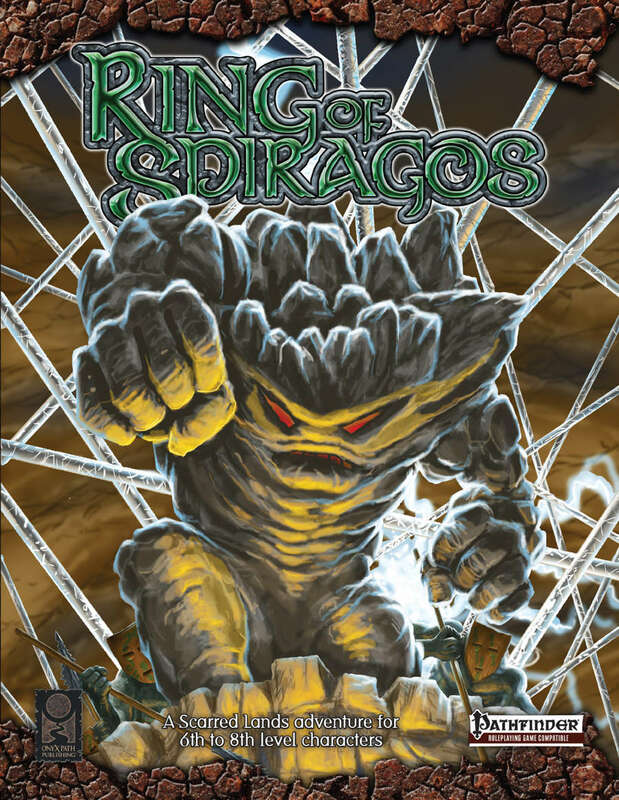 Ring of Spiragos is the conclusion to a trilogy of Scarred Lands adventures developed by myself and Scott Holden for Pathfinder first edition* and Dungeons & Dragons Fifth Edition. This adventure offers a wealth of lore and possibilities and, as the adventures progressed, we offer more options for gut-punching scenes and opportunities for exploration. As the conclusion to the trilogy, I definitely encourage you to pick up Gauntlet of Spiragos (Free! ), Dagger of Spiragos, and Ring of Spiragos to play in the Scarred Lands. It’s a wonderful setting! * Links in my post are to Dungeons and Dragons Fifth Edition adventure versions. I am pleased to announce that my essay “Planning Your Campaign in Four Stages” is now available in the Kobold Guide to Gamemastering. In the essay, I introduce a spiderweb method to reduce the appearance of a linear plot. towns or NPCs to lead the group back to the main story. “Planning Your Campaign in Four Stages” is but one of the stellar essays available in the Kobold Guide to Game Mastering. I had a lot of fun geeking out about organizational methods, and I hope you enjoy my take on planning a campaign. Every GM has struggled with some aspect of their game. Maybe it’s session prep or sustaining a long-term campaign. Perhaps it’s a more external issue such as problem players or limited play time. Many of these concerns, and others, will be addressed in the Kobold Guide to Gamemastering. 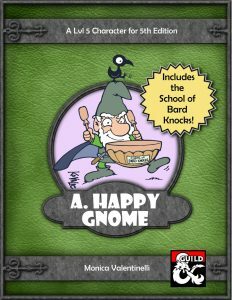 The latest in the award-winning and fan-favorite series from Kobold Press tackles gameplay head-on, with advice from everyone from veterans to talented newcomers on how to make a tabletop RPG session snap, crackle, and shine! Edited by Sean Reynolds, the book’s writers include Frank Mentzer, Keith Baker, Zeb Cook, James Jacobs, Monica Valentinelli, Shanna Germain, and many other well-known industry vets and long-time GMs. This 150 page, 6” x 9” softcover features cover art by Blizzard and Magic: the Gathering artist Eva Widermann and is part of the award-winning Kobold Guide series. 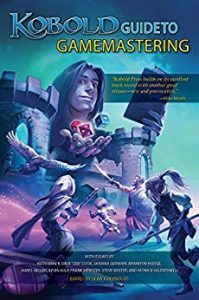 So, if you know a new or long-time GM that could use some helpful, practical advice, or a few handy tips and tricks, this is the book for them. This book is available in digital and print.